Kevin Dent is a business developer and entertainment industry professional who has some notable ties to his name. Dent was involved with companies like PlayHaven, Hands-On Entertainment, and was the COO of P4RC Inc., – a company that once had Wedbush Morgan Securities analyst Michael Pachter on as the director for a short time. Dent was also a chair person for the IGDA a few years back. It’s safe to say that Kevin Dent has some weight in the games industry. So why is a writer from Giant Bomb using the Game Journo Pros group to get other editors, writers and site owners not to quote, talk to or engage with Dent? 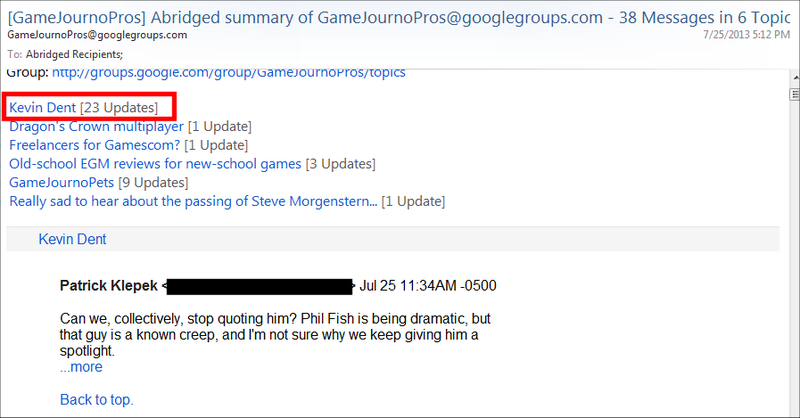 Well, Patrick Klepek and the other Game Journo Pros explain it in their e-mails. 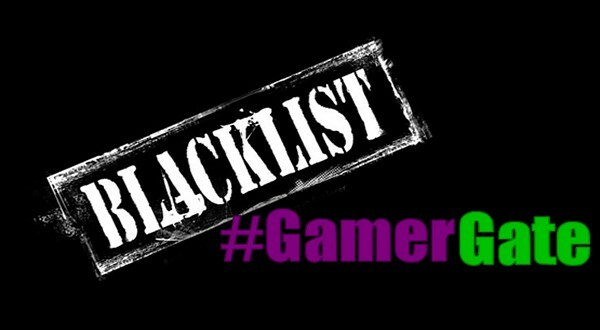 Over the past couple of months, gamers have become familiarized with the Game Journo Pros, a secret e-mail group that was uncovered by Milo Yiannopoulis from Brietbart. The group was used for cronyism and was allegedly responsible for blacklisting another journalist. 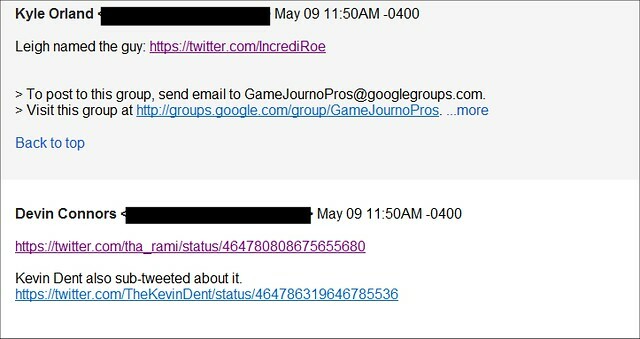 According to e-mails from Patrick Klepek, a journalist who writes for Giant Bomb, he made a request to the Game Journo Pros group not to quote Kevin Dent anymore. An image from the e-mail is below. This was followed up with a post by Digital Trends movie and games editor, Adam Rosenberg, who didn’t question or have any problems with Klepek’s request. Some of the members were actually baffled about why Kevin Dent should be ignored or denied any sort of interview or media attention. It was explained by Klepek and a few others that Dent was allegedly an attention-seeker, and that he was sexist and “a creep”. Another screencap helps sum up the impression of Kevin Dent by the Game Journo Pros. You can read the Tumblr post about Kevin Dent here [backup]. It is, of course, a scathing depiction of Dent. Funnily enough, it was once mentioned that Patrick Klepek was like the puppy dog of the Game Journo Pros group, but here we get to see him show his fangs. 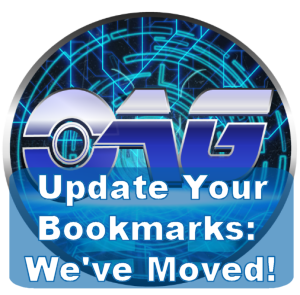 This was followed up with Wired contributor Andrew Groen posting the following message. For your information: “HHG” stands for HipHop Gamer, an independent video game media figure who was often the subject of discussion in the GJP, usually under negative connotations. I reached out to Kevin Dent to ask him if he knew about this soft “blacklisting” and how he felt about a group of some of the top gaming journalists in the industry wielding the power to deny someone their voice. Dent requested not to have his comments posted publicly, but did mention that he doesn’t mind what they say or do at this point, and isn’t worried about no longer being quoted or interviewed by them. 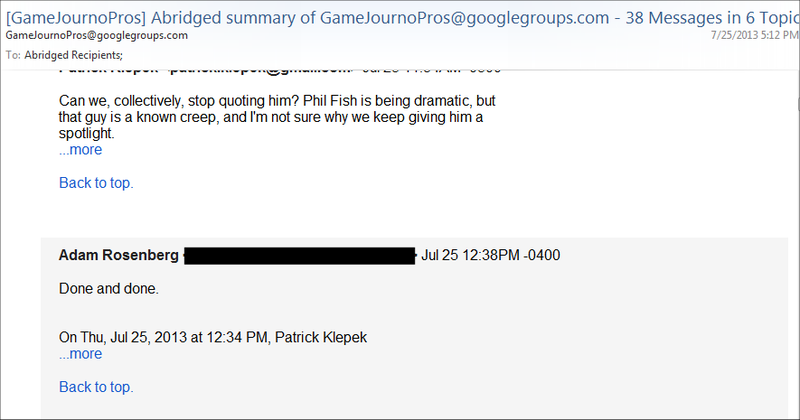 I reached out to Patrick Klepek, the one who started the thread topic in the Game Journo Pros, to see if he still felt that way about Kevin Dent, but at the time of the publishing of this article, he has not responded. It’s an ominous thing to know that a secret group of some of the top industry media professionals can dictate and decide who gets coverage and who doesn’t. This occurred at various points throughout the Game Journo Pros, including someone who defended the presence of women in the industry… Russ Roegner, who was the recipient of the internet term “dogpiling”, where he was bombarded for his viewpoints by people within a select clique. 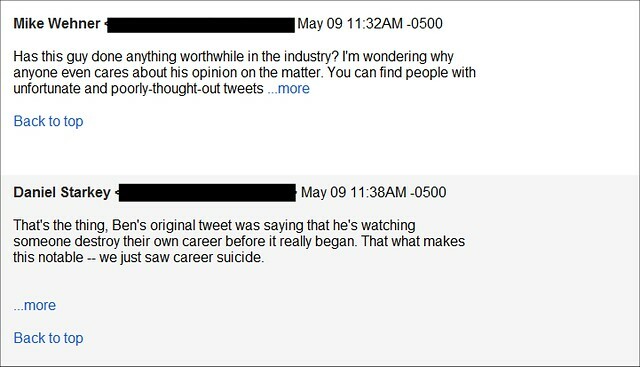 Notables who propagated and “watched his career burn” were Ben Kuchera, Rami Ismail, and Leigh Alexander (which is where the infamous Megaphone quote came from), to name but a few of the usual suspects. Career suicide based on an opposing viewpoint? Why? 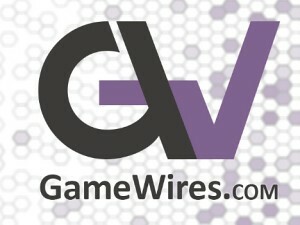 We’ve recently seen how select media groups can pressure digital distributors into moving games off platforms, and we also see how these same groups of people can control how professionals within the games industry can have their careers put on display in the media spotlight (or have the media spotlight taken away) via collective consensus. It’s also amazing how dissenting views to those peddled by a select group who control the media entertainment circuit can dictate the outcome of someone’s life, career and industry opportunities. It’s no different than how reporting on an illegal crowd-funding campaign can result in being – by the very definition of some state laws – blacklisted from the industry.